WPT Korea’s Main Event attracted 283 runners to Paradise City, Korea. After the dust settled on the first day’s action, only 72 returned for day 2. After the money bubble burst with the elimination of Hideo Miyamoto by Norwegian pro Markus Garberg, the 4 Players who qualified from the Tokyo flight entered the field. All of them were certain to pocket KRW1,890,000 (US$1,695) but all players had their eyes on the KRW 63,620,000 (US$57,058) prize up top. The day was set to end when the field was reduced to 9. Team Natural8’s Kitty Kuo who is often seen playing tournaments in the U.S and Europe started her day impressively, taking the chip lead in the first few levels. Unfortunately, she lost a massive coin flip at the end of the day; her QQ meeting Noda Hiroyuki’s AK, a hand which sent almost her entire stack across to her opponent. She left the tournament on the very next hand. Nine players remained and the final was set. Hailing from Belarus, Valeriy Pak will bring limited experience to the table but plenty of chips. He has 114 big blinds to work with and will be looking to add to his career cashes of US$13,899. Also lacking experience in big final tables is Japanese player Yuichiro Harada. He will be looking to make some headway at the final table, brining only 35 big blinds into the action. However much he cashes for, it will give his career cashes of US$449 a sizeable boost. With only 31 big blinds, Tsugunari Toma will need to work hard to go deep in this final table. The Japanese player from Osaka has seen his fair share of big scores though, picking up over US$51,000 at the PokerStars Championship High Roller event in December of last year, along with US$91,455 at the PokerStars Championship Main Event in Barcelona earlier in the year. Toma has a total of US$523,836 in live cashes. Paul Hong, from New Zealand will bring a powerful chip leading stack of 148 big blinds with him tomorrow. He only has two recorded live cashes, both having arrived in the last few months, but both are five-figures cashes collected for top 3 finishes. Japanese national Noda Hiroyuki will be hot on the heels of chip leader Paul Hong when the action gets underway tomorrow, with a very strong stack of 112 big blinds. He also brings plenty of experience with him, having accumulated US$339,888 in live cashes. His best cash came at EPT Monte Carlo earlier this year, where he took 3rd place in a Deepstack event for US$47,643. One of the shorter stacks coming into tomorrow, Norwegian Markus Garberg will need to find some traction early on tomorrow if he is going to add a significant score to his lifetime live cashes of US$508,918. Garberg won the High Roller at APT Manila back in 2015 for US$32,545. Coming in as the shortest stack tomorrow is Canadian Kevin Ayow. He has US$196,922 in career cashes and will be looking to make some early headway when the cards hit the air tomorrow. Yisha Chen will bring a comfortable stack of 52 big blinds into the fray tomorrow and will be looking to set those chips to work and climb the counts. The Chinese national is the only female player remaining and has US$48,902 in career cashes. Japanese player Nakamura Tatsuki will be posting his first live cash at this table, which is an excellent achievement for the Japanese national. Bringing 39 big blinds to the table, he could yet threaten the bigger stacks if some early pots go his way. 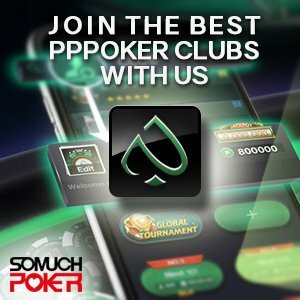 Full coverage will continue tomorrow on Somuchpoker.